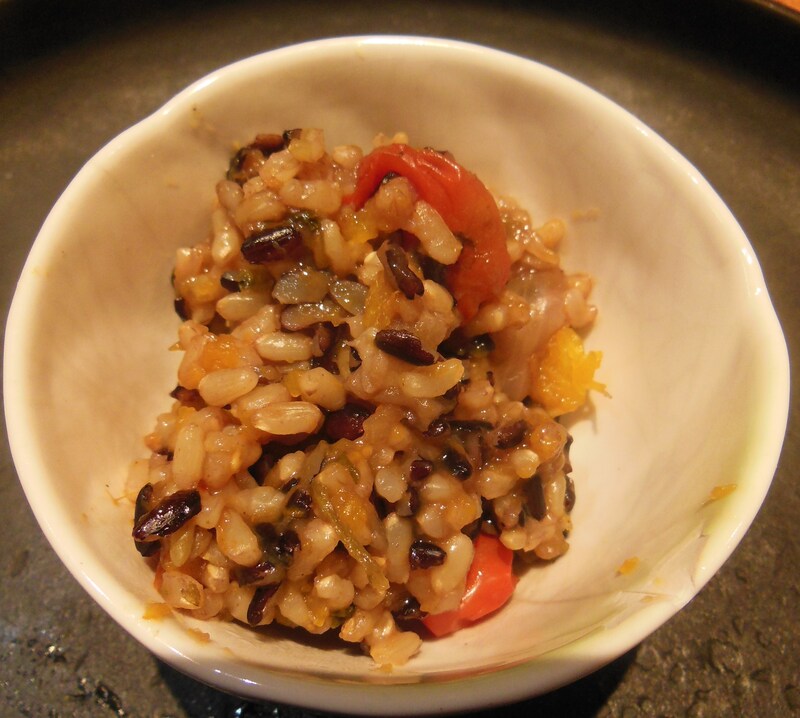 A revered variety of rice in ancient China, Forbidden black rice was considered ‘magical’ and reserved for emperors and nobility. 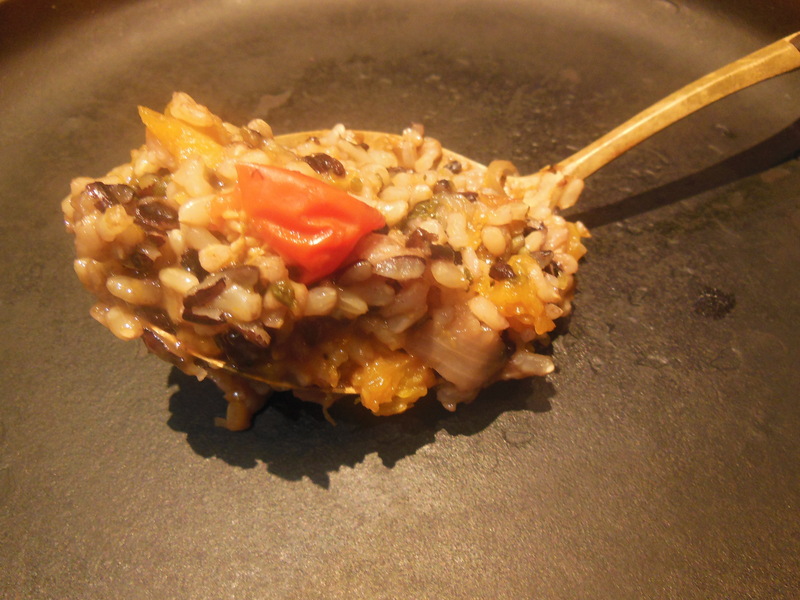 Apparently simply possessing a handful of this ‘Forbidden’ rice could lead to punishment by death. Fortunately times have changed and us commoners can now find it in the local supermarket. 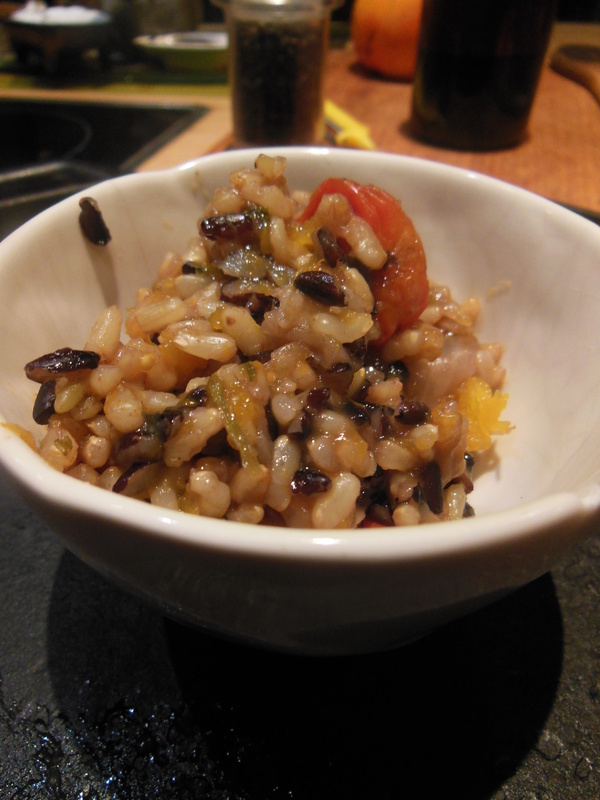 Using brown and black rice is a nice alternative to Arborio rice and is more nutrient dense and tastes delicious, the nutty and smoky flavour adds a lovely intensity to the dish. Soak rice in a bowl of water for a couple of hours to help remove enzyme inhibitors (optional). Place all ingredients (except cup of water) in a large oven proof casserole dish stir and place in center of oven, turn the oven on to 180c and let the dish heat up with the oven cook for 1-1 ½ hours, adding the cup of water at 1 hour mark. Remove from oven, taste and season. Spoon onto serving dishes and top with nutritional yeast or Parmesan cheese. Serve with steamed bok choy or greens. The grains look beautiful. I love ingredients with an intriguing backstory.